Begin the journey at 07.00am from your accommodation to visit Luwak Coffee Plantation to see locals growing coffee and processing it with unique method. After trying some samples of coffee we head to the start point of Sekumpul Waterfall. 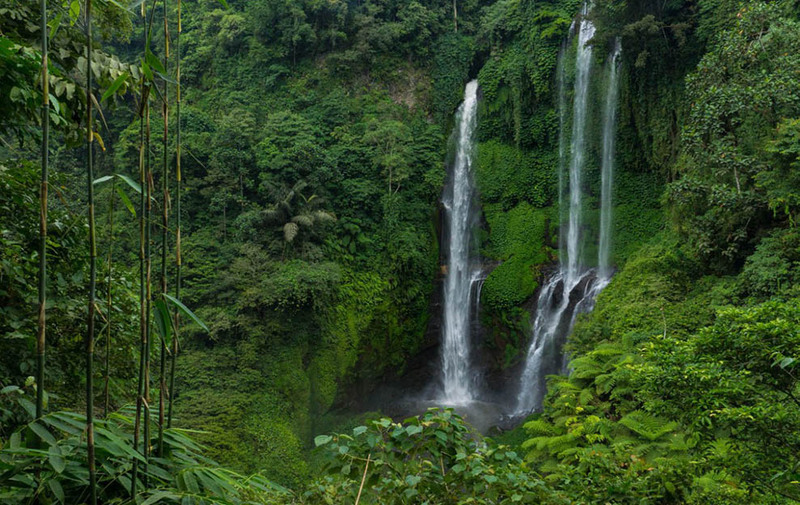 Walking about 45 minutes through lush jungle and you will be amazed by the majestic view of Sekumpul Waterfall. You will cross rivers on wooden bridges, rice paddies, and hundreds of steps to hidden temples in the midst of the undergrowth. Trek past a series of picturesque waterfalls on a jungle hike. Continue to Ulun Danu Temple (Pura Ulun Danu Beratan) to see the reflections of the sacred Hindu monument, one of the most famous temple in Bali. On the way back to hotel we will stop at Royal Mengwi Temple as one of UNESCO heritage site. We don’t offer any group or sharing tour!